We delve for difference and search for innovation. So do MBI. They make a difference to people’s lives through cutting edge technology and precision manufacturing. Since 1997, MBI have been prototyping and manufacturing innovative medical devices in Southern California. While MBI is FDA registered and ISO certified, they don’t just meet these required standards, they strive to exceed them. We have whole-heartedly embraced MBI, because, like us, they believe in perfect eyesight. It’s about looking forward, striving for the next breakthrough and not accepting the adequate. This philosophy has brought about the creation of PreciSAL (Precision Soft Acrylic Lenses) – a revolutionary new technology, proprietary to MBI and exclusive to IQ Medical. 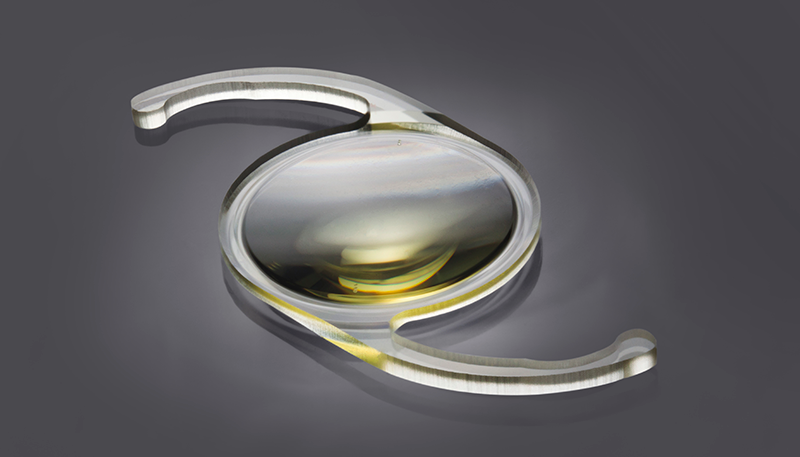 Put simply, we believe PreciSAL are the world’s most advanced aspheric IOLs. MBI Material – PreciSAL Clear IOLs are made from a unique, soft, hydrophobic acrylic material, with less than 0.5% water content that incorporates the most desirable UV blocking properties. PreciSAL Yellow IOLs have the same benefits, with the addition of a proprietary violet filter. They behave much like hydrophilic lenses. They unfold and centre perfectly, and sit in the bag exactly where you want them, making them easy to implant. MBI Manufacturing – The PreciSAL manufacturing process is state-of-the-art. The lens material is tray-polymerised and then lathe cut, eliminating the occurrence of glistenings and, consequently, mie-scatter. Since the launch of PreciSAL in 2008, no glistenings have been reported. Manufactured in 0.25 dioptre increments* to a tolerance of only 0.125D in a range from 0 – 30 Dioptres, you can be assured that what’s written on the box is what’s in the box. It’s the MBI material and ultimate precision of their lathing technique which makes PreciSAL exceptional. MBI Precision – The lathe cutting forms a genuine 90o square edge, a result not possible with injection moulding. Again, the results are compelling: in nearly 500,000 implants, no PCO cases were reported to MBI. Engineered with a low glass transition temperature (Tg), PreciSAL is designed for the operating room. From 11oC, the material becomes soft – no waiting, no pressure – just simple smooth unfolding. MBI Clarity – Contrast sensitivity is particularly important in environments such as driving at night or dining in a dimly lit restaurant. Negative spherical aberration (-SA) improves vision in these situations, producing the best visual acuity and contrast sensitivity with a modest depth of focus. PreciSAL lenses have negative spherical aberration (-SA) in both clear and yellow. The residual SA is 0.21μm at a 6mm corneal diameter and the Q value is -0.11. PreciSAL lenses also have a high Abbe Number. It indicates material quality and the capacity of an IOL to focus all colours to the same point. A high Abbe number not only means less chromatic aberration, it means better contrast and optical performance. Abbe numbers are not often quoted by manufacturers of IOLs, but MBI are proud of theirs: PreciSAL lenses have an Abbe number of 50.